Tea-drinking is a constituent part of Chinese culture. China is an original producer of tea and is renowned for its skills in planting and making tea. Its customs of tea-drinking spread over to Europe and to many other regions through cultural exchange via the ancient “Silk Road” and other channels of trade. The Chinese nation has written a brilliant page for its tea culture in the history of world civilization. The development and promotion of tea has been one of China’s principal contributions to the world. Traditionally, there are ten most famous teas, but not all “best ten” lists are in agreement. Here is a typical list of the ten most famous teas in china for your reference. Description: Very gentle and sweet, these teas can be quite expensive. The tea leaves can be eaten after infusion. Dragon Well Tea, as an important part of Hangzhou culture, expresses the living attitude of locals as well as the Chinese people. Dragon Well name derives from a local spring that legend has it is the lair of a dragon. 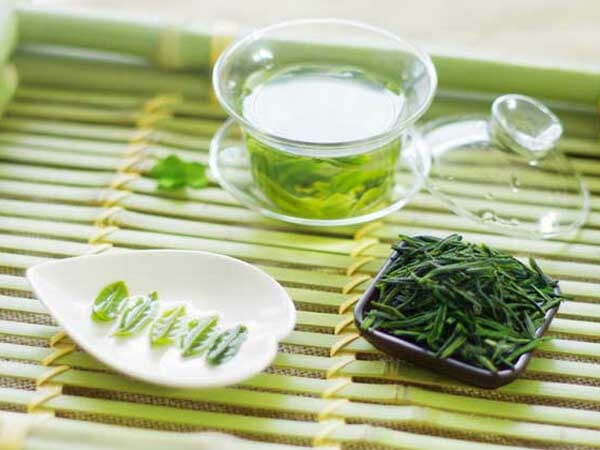 Also known as Longjing, it is the best known of China’s green teas, justifiably so. It had been presented as tribute to many generations of Chinese emperors, and was the tea served to Richard Nixon in his memorable encounter with Mao Tse-tung. In local parlance, it is praised for its “four characters”: jade color, vegetative aroma, mellow chestnut flavor and singular shape. 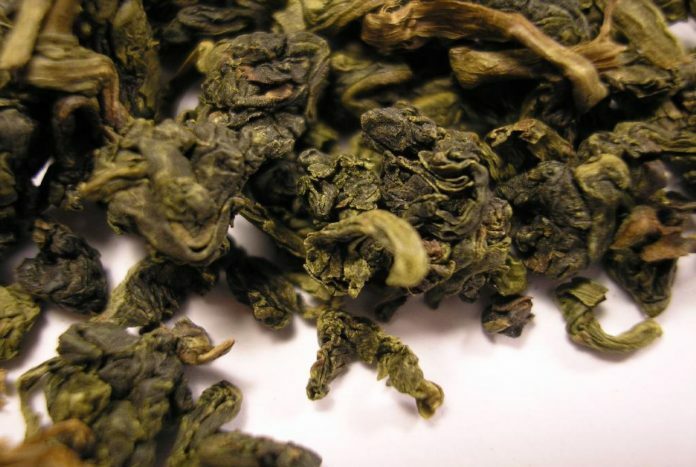 Huangshan Maofeng Tea is a kind of green tea produced in Anhui Province in China. It is one of the most famous Chinese teas and can be always found in the list of China’s Famous Tea. The tea is grown near Huangshan, also named Yellow Mountain, hence the name. 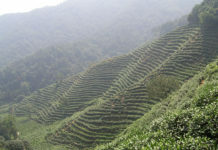 Yellow Mountain is also the home for many famous Chinese green teas. Huangshan Maofeng is also called “Yellow Mountain Fur Peak” in English, because the leaves are covered with white hairs and the processed leaves looks like peaks of mountains. For this kind of tea, the best teas should be picked in the early spring before Qingming Festival (A Chinese festival in middle spring). Only the new buds which look like orchid buds on the tea trees and the leaves near by the buds are picked for making the tea. Description: A green tea with a strong aroma. 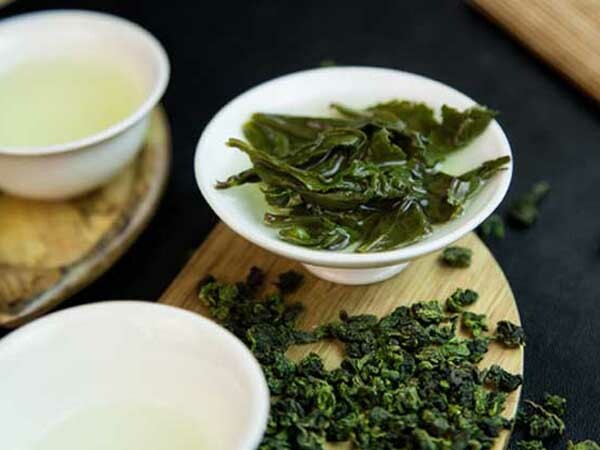 Seven grades in decreasing order of quality: Supreme, Supreme Ⅰ,Grade Ⅰ,Grade Ⅱ,Grade Ⅲ, Chao Qing Ⅰ, and Chao Qing Ⅱ.
Biluochun, a famous Chinese green tea, is grown in Dong Ting Mountain of Taihu in Jiangsu Province. The tea is also known as Pi Lo Chun. 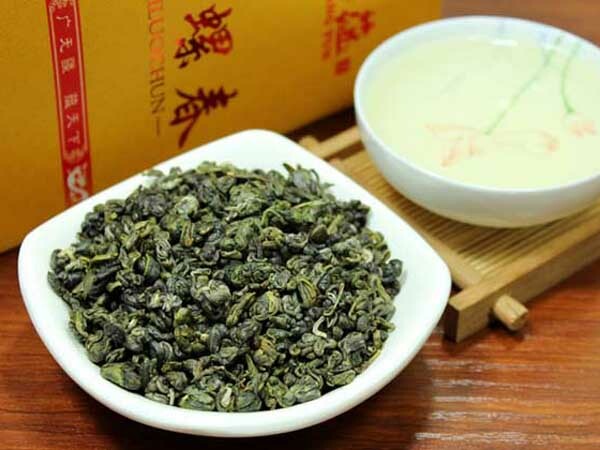 As it is a kind of green tea rolling in to a tight spiral which looks like snail meat and it is cropped in early spring, its English name is “Green Snail Spring”. The tea is features by its exquisite appearance, floral aroma, showy white hairs and early cropping. It is said that it was discovered by a girl tea picker. The girl put the tea between her breasts instead of put it in her basket. And the tea warmed by her body heat and emitted a floral aroma. Biluochun tea in Dong Shan in Dong Ting of Jiangsu Province is considered as the best. And the tea is also cultivated in Sichuan and Zhejiang Provinces. In these provinces, the leaves are larger and may contain some yellow leaves. Teas here are taste nuttier and smoother. Tieguanyin is a kind of oolong tea in China. It originated in Anxi in Fujian Province in 19th Century. Producing in different areas of Anxi, the tea has different tastes. Tieguanyin is named after the Chinese Buddha– Goddess of Mercy Guanyin, female embodiment of Avalokiteśvara Bodhisattva. It is also called “Iron Goodness” in English. 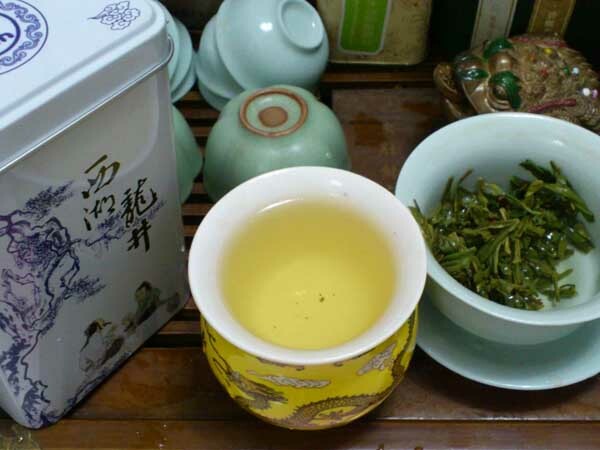 The process for making the Tieguanyin Tea is complex and need professional skills. The leaves must be of high raw quality and plucked at ideal time. There are 8 main processes: 1.plucking tea leave; 2.sun withering; 3.cooling; 4.tossing; 5.withering, this includes some oxidation; 6.fixation; 7.rolling; 8.drying. And after drying, some kinds of teas have to go through roasting and scenting which are added processes. Description: One of the Famous Chinese Teas. 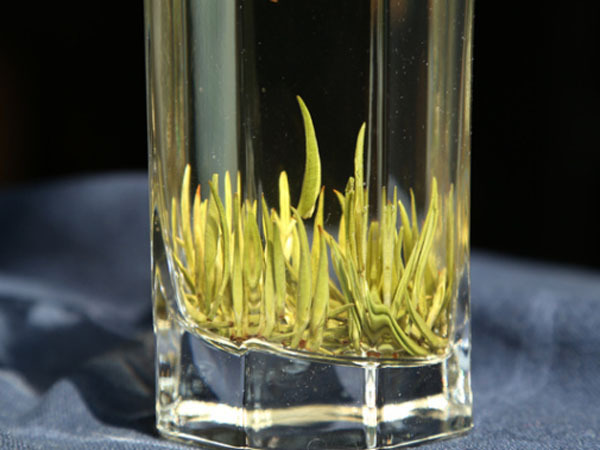 Junshan Yinzhen Tea is a kind of yellow tea originated in Junshan Island of Hunan Province in China. It is also planted around Dongting Lake where the Junshan Island located. Keemun Tea or Qimen Hong Cha is a kind of black tea originated in Qinmen County of Anhui Province. Relatively speaking, it has a short history of about 137 years. The Tea was first produced by a failed civil servant, Yu Quianchen, in 1875. Before that, there was only green tea in Anhui. When Keemun Tea was produced, the result exceeded Yu’s expectation that the tea even was popular in England. It gradually became ingredient of the breakfast tea in England. The tea features by it fruity, little pine, dried plum and floweriness aroma. As it also tastes a hint of orchid fragrance, it also called “Chinese tea sweetness”. These make the taste of the tea very distinctive and balance. Depending on different varieties, the tea can made more bitter or smokiness. 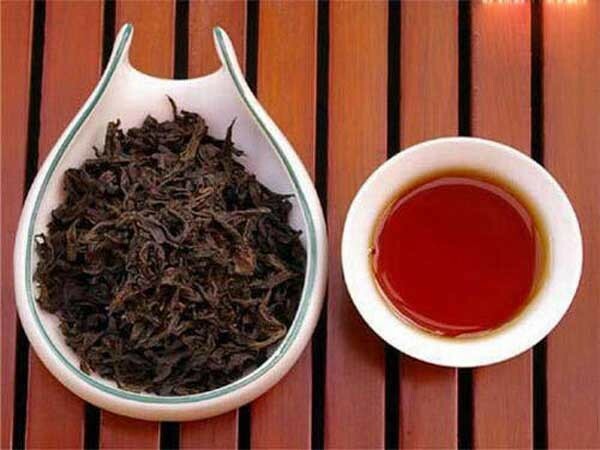 Description: The most famous oolong tea of Wuyi teas. Da Hong Pao or Large Red Robe is the most famous tea in Mount Wuyi. It is a kind of oolong tea which less than 1 kg of tea was harvested each year. 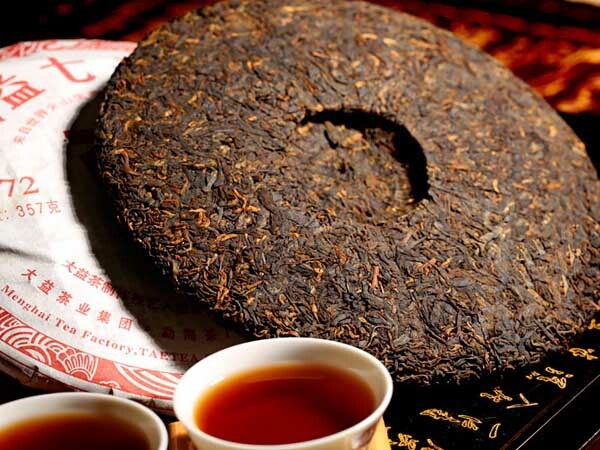 There is a legend of Da Hong Pao that a Ming Dynasty King’s mother was cured of an illness by a certain tea. The King sent great red robes to drape on the four tea bushes to show his thanks. Now there are 3 original bushes still growing on the rock of the Mount Wuyi which is said that can be dates back to Song Dynasty. The Da Hong Pao is picked from these bushes. The tea was very rare and so it is expensive. 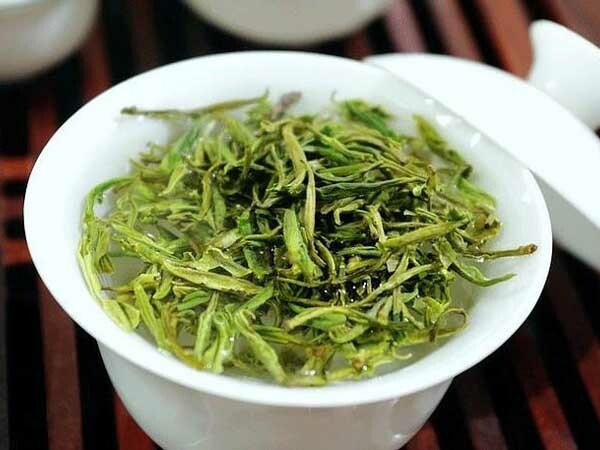 Lu’an Melon Seed Tea or Liuan Leaf is a kind of Green tea grown in Lu’an City of Anhui Province. It is listed on all Chinese famous tea’s lists. The shapes of the tea’s leaves are flat and oval which looks like a melon seed, hence the name. Most green teas are produced from the new buds in central vein, but Lu’an Melon Seed tea uses the second leaf on the branch. The central veins on these leaves are removed and are pan fired and shaped so that the tea will not been oxidized. In the Ming Dynasty, Lu’an Melon Seed Tea was widely used to prevent sunstroke. And it was a tribute tea for the highest power class. Description: Fleshy bright colored and covered with tiny white hairs. The flavor and fragrance should be delicate, light, fresh, and sweet. 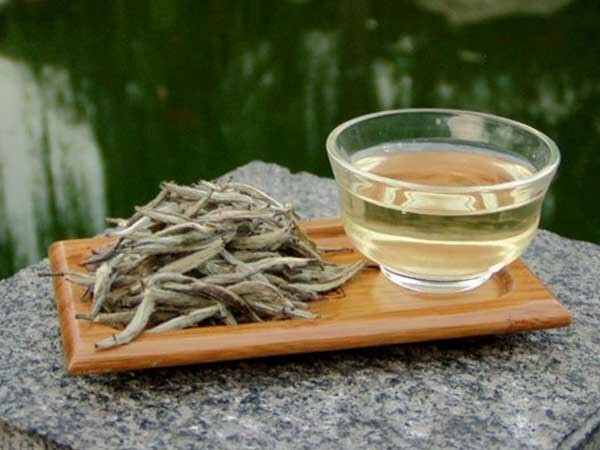 Baihao Yinzhen or White Hair Silver Needle is a kind of white tea grown in Fuding and Zhenghe County of Fujian Province. Amongst all the white teas, Baihao Yinzhen is the most expensive one as it only use the top buds to produce the tea. The best production of the tea is from the first flushes from late March to early April. Pluck the first new buds before it opens. The best time to pluck the white tea is on sunny morning. The buds are laid in shallow basket and under the sun for a long period. Then, the softened buds will be piled for requiring enzyme oxidation before they going through a low temperature bake-dry of the later process. There are 2 regions— Zhenghe and Fuding make this tea. The Zhenghe style is usually much darker than the Fuding style, because its oxidation time is much longer. As the tastes of the 2 styles are different, both of them have their own fans. Description: It is a Chinese specialty. The flavor of the tea depends on where the tea is grown and the grade. Old Pu-erh tea, born tea, dry warehouse natural aging, and soup was yellow red, Chen fragrant odor. Pu-erh tea from Yunnan province in China has long been considered a special delicacy and an indispensable part of daily health care. Unlike other types of tea, which are consumed not long after harvest, Pu-erh tastes better with age. 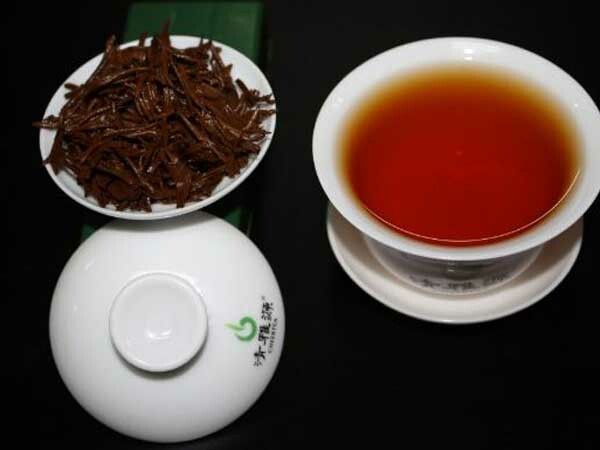 Pu-erh Tea can be divided into cooked and raw types. The cooked types are the varieties that have gone through a process which accelerate post-fermentation, while the raw types are the varieties that have gone through the process of gradually darkening by exposure to the environmental elements instead of fermentation. And this is why the teas are labeled with the region and the year it was produced.